The Foot Levelers Blue Ridge Marathon is known as one of the toughest races in the world. (The Weather Channel and Runner’s World have both noted its challenging mountain route and scenic beauty.) Lucky for you, this bucket list race is in your back yard. The event has earned kudos from runners that travel from all over the country as well created significant community impact. Showcase a Region: The race course shows that there is something special about the beauty of the Blue Ridge Mountains and the lifestyle of the Roanoke Region. The course features three separate mountain-top vistas, historic homes, an eclectic downtown, and finishes in the open-air amphitheater at Elmwood Park. 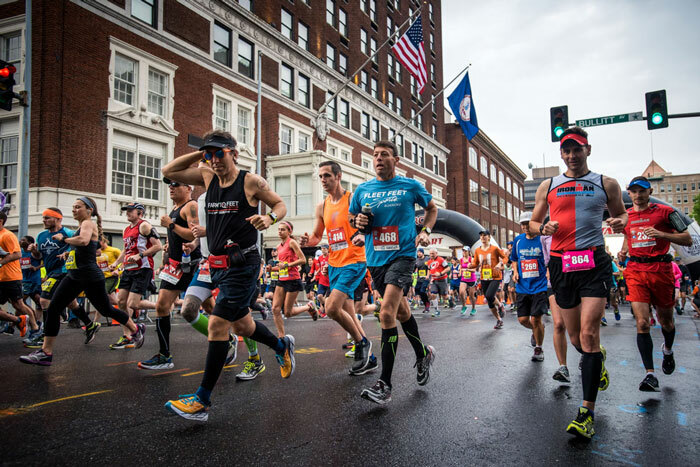 The race has drawn attention from national media including The Weather Channel, ESPN, USA Today, Conde Nast Traveler, Delta Sky Magazine, and Runner’s World. 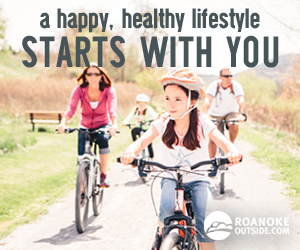 Engage a Healthy, Active Community: The community is involved in every aspect of the race. More than 600 volunteers work to pull off this monster event and race options such as the Carilion Children’s Family 1 Miler and walking options for the 10k and half marathon, make America’s Toughest more accessible. And then there are the tailgating parties in the front yards of spectators along the course; many runners cite these homemade aid stations as what makes the race special. 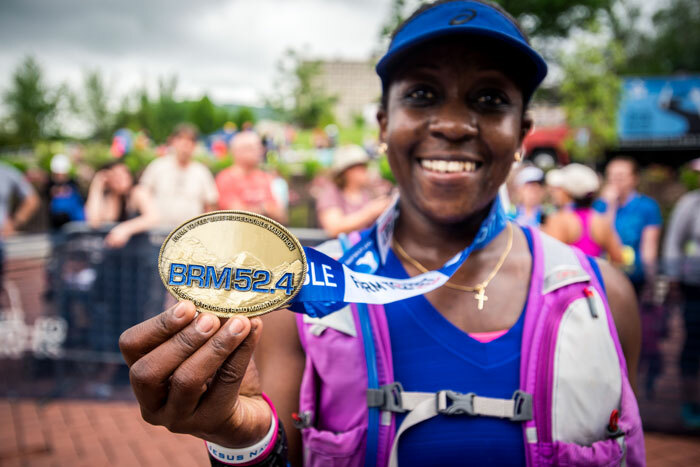 Give Back in a Big Way: The Blue Ridge Marathon, which is put on by the Roanoke Outside Foundation, is a 100 percent nonprofit race. Every dollar earned goes toward dozens of nonprofits throughout the region. To date, the marathon (via Roanoke Outside) has donated $185,000 to community organizations. 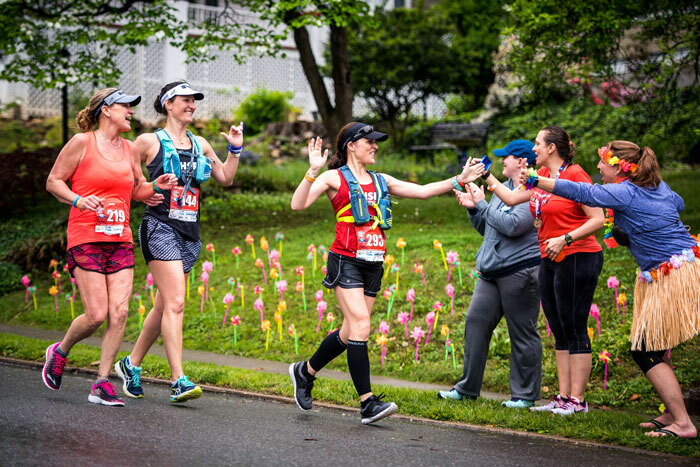 Benefiting charities run the gambit from groups with a mission to empower girls through running to sexual assault awareness organizations to the preservation of historic buildings to developing trail networks. Economic Impact: In addition to supporting nonprofits, the race has had a significant impact on the entire Roanoke Region. 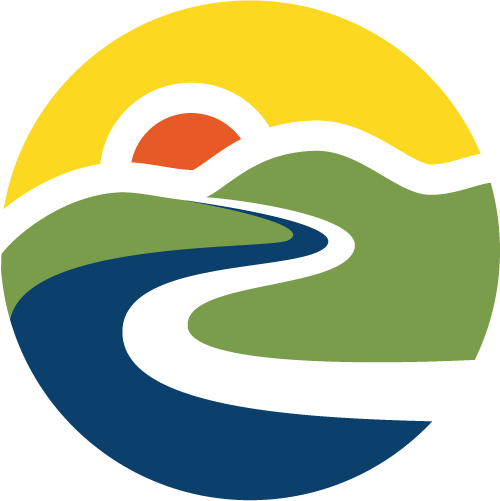 Since the inception of the Blue Ridge Marathon, the race has contributed $4.5 million to the regional economy. That’s money that comes into the region from travelers attending the event, hotel stays, eating at restaurants, shopping at local businesses, and visiting regional attractions. The activity supports new jobs (6.9 jobs in 2018) each year. 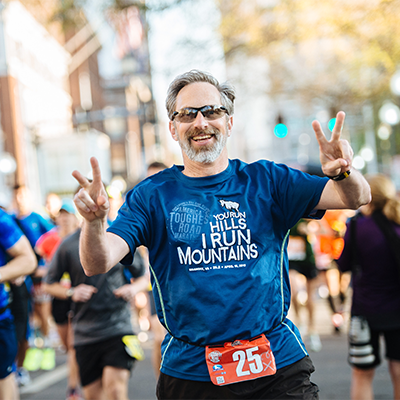 Being part of the Blue Ridge Marathon is something special, whether you are running, cheering on friends. or working as a volunteer. The race is known for a friendly atmosphere, great swag, and an amazing sense of accomplishment when you tackle these mountains. Let’s celebrate 10 years of America’s Toughest Road Races together.